Review: This year saw the return of the Far Cry series. A first person shooter franchise I have much enjoyed ever since the first game way back in 2004. The now typical Far Cry "layout" though, originates mainly from Far Cry 3. FC5 follows this formula. We have a main nutcase that needs taking down and areas to liberate on a free roaming map with access to vehicles, nature to traverse and wild animals to defeat. It's a thoroughly tested game structure from Ubisoft, but a one that works incredibly well too. This time around I felt they had gone the extra mile to pull me in again after FC4, the latter I felt a little tame when compared to FC3 to really set itself apart. What helps FC5 deliver a fantastic package is the focus on enriching the game world. This time around there is so much more to discover, side missions that feel like you're drawn into the game world even further and lots of mini games like stunt racing and fishing to further pull the player into it's immersive world. In fact, I'd go so far that this is probably the best FC made to date, let's take a close look though. FC5's story revolves around the main character Joseph Seed, a religious nutcase and preacher going by the name "The Father", who after a violent take-over of a whole valley in North America is set to be arrested by the deputy. Much expected the arrest goes to hell and the rest of the game takes you through three main play areas of the valley. Each part is being ruled by leaders under The Father. These three areas are liberated by performing tasks and saving the locals living there. There's some fantastic cutscenes and voiceovers heightening the story to a new level which is the FC series best so far. Gameplay is solid as always, punchy and weighty gunplay, even the cars, helicopters and airplanes feel like they have the right controlled weight to them. Excellent for traversing the vast landscape with. Discovering and climbing trough hidden doomsday prepper people's bunkers and finding their loot of money and weapons feels satisfying too, there's a lot to randomly discover in the forests and farmlands. The freedom of the sandbox world never feels limiting, while not going overboard with just about right size of the map. You can even let a real friend or AI walk around with you to support you in firefights. There's a variety of sidekicks to walk around with; like a sniper, a pilot with a support helicopter, a surveillance dog or even a fighting bear! Mission variety has clearly been a stronger focus from the developers this time around too; every story mission feel distinctly different and throws you into a nice variety of situations with a healthy dose of craziness thrown in. Even the side missions seem less cut and paste and more like proper story missions without the filler padding often plaguing side missions in FC4. The leveling system is perhaps a tad slow as I had only come about halfway on the perk chart by the time the game reached it's end. You have to grind quite a bit to fully level you characters perks system. The main game is a healthy 20-25 hours long, but if you dig down try to unlock everything you can easily reach the 50 hour mark. The visuals in Far Cry 5 are stunning, the dense forests and foliage especially, but also the incredibly draw distance that really gets put through it's paces when jumping into a airplane or helicopter. Everything works well; close up indoor details, large landscapes on foot or in cars and the giant large scopes of vast nature when you are high up in the air. Running at an impressive native 4K, on the Xbox One X I played, really helps keep all the small foliage details like leaves and trees so crisp and clear. It's a beautiful game with a fantastic woodland America setting that appealed even further to me as it reminds me of forests here in Norway. I liked the calm folky like menu music that heightens the whole atmosphere of the setting too. If there's negatives to mention I really dislike the way the game suddenly stops you mid-game to pull you into a fight with one of the leaders of each area. Once you reach a certain percentage of liberation you are wartened they are hunting you, then abbrubtly spawned in a cutscene, a weird design choice that could have been done differently. I would also have liked to see the roads and airspace in the game have a less hostile spawning of bad guys. It's like you are constantly attacked if you follow roads or attacked by an annoying airplane without end at times. I ended up mainly sticking to the bush, but I enjoyed mostly walking by foot in the forests anyhow! 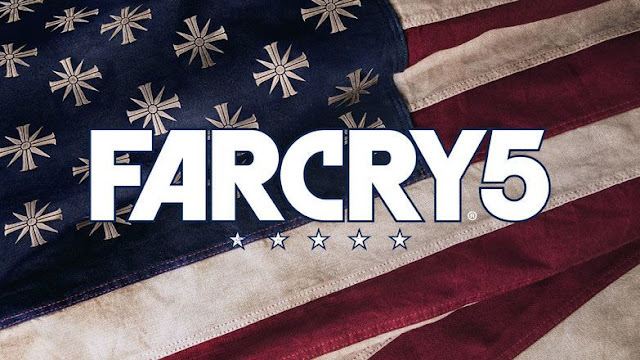 I went into Far Cry 5 slightly sceptical of the redneck and religious setting, feeling that it wasn't something that felt like a scenario I was particular intrigued by. I still went ahead and ended up playing the best Far Cry so far, with an ending really took my by surprise and I loved. The charming farmland America pulled me in and the atmosphere absolutely nailed the feeling of being there. The main villain does and excellent job and far excels FC4's effort too. One of this years absolute best games and an excellent first person shooter to boot. Highly recommended!